news German software giant SAP has signed a landmark deal with the nation’s largest telco Telstra and IT services giant Accenture that will see the pair deliver hosted SAP solutions to Australian customers from Telstra’s on-shore datacentre infrastructure. In a statement, Telstra said it would provide SAP licensing, network, compute and storage infrastructure as its side of the deal, while Accenture will manage system integration, migration, SAP application maintenance and help desk services. “Enterprises and government agencies that want to achieve business agility and cost management through the cloud, will be able to migrate their existing on-premise SAP environments to Telstra or build new SAP systems into a fully managed private cloud,” the trio said in a joint media release, which also noted that mobility and analytics functionality was also being jointly developed as part of the deal. 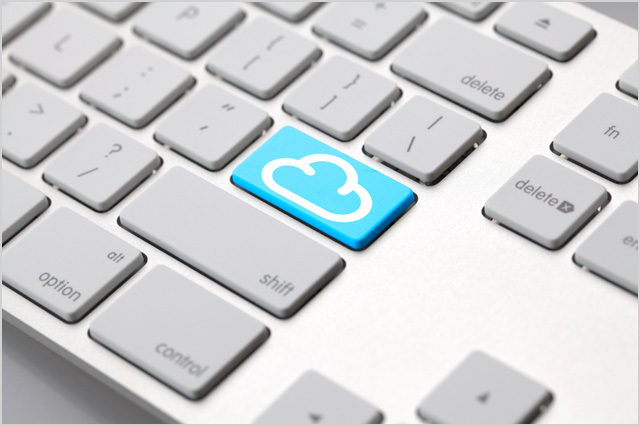 SAP certified Telstra’s cloud infrastructure in September 2011, enabling organisations that want to run their SAP applications out of Telstra’s cloud to do so. The news follows on from a partnership which Telstra unveiled with Accenture in October 2010. A the time, the pair said that as part of the deal, Telstra would focus on managing the underlying infrastructure associated with the new generation of computing services, while Accenture would focus on the applications side. Both companies agreed large organisations were looking to shift spending away from capital expenditure and towards operational expenditure that would allow them to be more flexible in how they used resources. However, at the time, both Telstra and Accenture refused to be drawn on what technology they were using to underpin the services – or what sorts of applications Accenture would specialise in providing on top. While SAP doesn’t have any of its own hosting/software as a service infrastructure in Australia (to our knowledge), the company’s software has been available as hosted offerings for some time from companies such as UXC’s Oxygen subsidiary and Fujitsu. Running hosted versions of SAP “from the cloud”, and believe me, we use that phrase with the full context of irony involved in it, is nothing new. However, what is new here, and what is changing quite profoundly about the nature of Telstra’s Enterprise & Government division, is the bundling of telecommunications carriage with the enterprise IT services that run over the top of it. When it comes to consumer mobile phones, Telstra wants to sell Australians both mobile network access and the content that runs over the top of it; if you buy any Telstra mobile these days you’ll find yourself incentivised to sign up with mobile Foxtel video content offerings, directed to use Telstra’s news portal by default and so on. And now this bundling approach is increasingly becoming a part of Telstra’s offering to the enterprise. Telstra doesn’t just want to sell businesses and government departments telecommunications services any more; it also wants to sell them cloud computing and software as a service offerings which will run over the top of those networks. Infrastructure as a Service, Microsoft Office 365, and now SAP; pretty soon I’m sure Telstra will be able to offer a complete enterprise IT package, with Accenture waiting in the wings to pick up the integration scraps from Telstra’s table. Now, this strategy appears to have broadly failed in the consumer arena, with paid-for mobile content being a bit of a fizzer for Australia’s big telcos and many people unsure even about the potential for bundled IPTV over fixed-line. But in the enterprise, it’s a different case. There would appear to be a real, tangible benefit to having Telstra manage various aspects of your enterprise IT infrastructure and applications, after all. The company already operates some of Australia’s largest datacentres, giving it a scale and efficiency most IT services companies can’t match. There can be security and speed advantages to having your network tied to your IT applications, and chief information officers love having “one throat to choke” when it comes to IT service providers in general. Telstra certainly “gets” the security and regulatory requirements of the financial services and public sectors in Australia, with a deep history of serving their networking needs, and it’s not hard to imagine that organisations in these sectors would prefer to extend some services into Telstra’s datacentre as Australia’s largest technology organisation, rather than having a foreign company take control. Telstra already boasted names such as Tabcorp and heavy vehicle manufacturer Kohmatsu on its cloud customer roster, and in June last year added the Salvation Army’s Employment Plus division, Oz Minerals and Tristar Medical Group. Of course, it’s not all roses. Looking at things from the other side of the coin, it’s clear that infrastructure players such as Telstra have historically suffered from a poor understanding of IT services and applications (one reason why the company offloaded its KAZ division to Fujitsu), and there is always a sense that telcos will try to ‘standardise’ these complex IT functions too far, as they try to make them more predictable and controlled, such as their networks are. However, with his extensive background at IBM, Telstra chief executive David Thodey is clearly aware of this fact, and Telstra’s selection of Accenture as its key partner in this area will go a long way to making customers feel more comfortable with Telstra’s emerging cloud. All in all, it’s an interesting experiment, and one that we suspect traditional players like Fujitsu, CSC, Unisys, IBM and more will be watching closely, to determine whether customers want a telco like Telstra to provide a bigger bundle of their IT services. The proof will be in the pudding; we’d like to see what Telstra announces in terms of major customers in this area over the next year before we call it one way or another. New customers on the record as being in Telstra’s cloud have been a little thin on the ground recently. It would be interesting to know what the software/hardware platform used to deliver this cloud is. Any chance you can update the article with any further details? Please reply back as I’m planning to create my own website and would love to know where you got this from or just what the theme is called. Appreciate it!